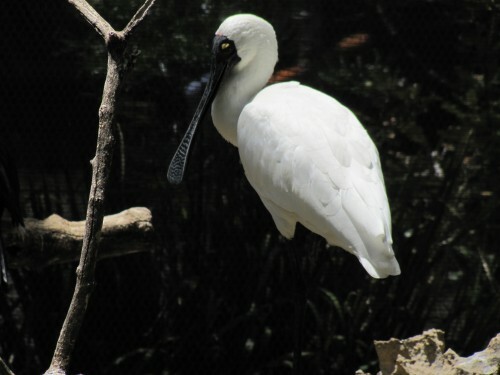 Australia has two species of spoonbill, the Royal Spoonbill, shown above, and the Yellow-billed Spoonbill. The latter has a special place in my birding life; you can read here about how this bird played an important part in me becoming a birder. I love seeing either of our species of spoonbill, so they are rather special birds to me. While both species are widespread throughout suitable habitat in Australia, in my experience they are generally not encountered in large numbers anywhere, usually from one individual to three or four in the same locality. Or perhaps I’m not looking in the right places.